Principal Conductor Ted Sperling leads concert of Broadway’s best from Mary Poppins, South Pacific, The King and I, Finding Neverland, plus holiday favorites and classical hits. (Purchase, New York) — On December 17, 2017 at 3 pm one of Broadways brightest stars takes the stage at the Concert Hall at the Performing Arts Center at Purchase College for the Westchester Philharmonic’s Winter Pops! A sold-out seasonal favorite since its introduction over a decade ago, Winter Pops!, led by Principal Conductor Ted Sperling, this year welcomes vocalist Laura Michelle Kelly plus a special appearance by violinist Kelly Hall-Tompkins. Laura Michelle Kelly won an Olivier Award as the high-flying nanny in London’s West End production of Mary Poppins and played Sylvia Llewelyn Davies in Finding Neverland on Broadway and at the American Repertory Theater in Cambridge. She went on to reprise her Poppins role at DC’s Ford’s Theater in a special performance for the Obamas, which also aired on ABC. Kelly most recently starred in Broadway productions of South Pacific and The King and I under the direction of Bartlett Sher. Winter Pops! On December 17 also includes a special appearance by the Phil’s upcoming February 11 concert headliner, Kelly Hall-Tompkins, performing her remarkable (yet unseen!) violin solos from the recent Broadway revival of Fiddler on the Roof (under the musical direction of Pops! conductor Ted Sperling). Audiences can keep the holiday fun going at the popular Pops After-Party! Mingle with Ted Sperling, Laura Michelle Kelly, Kelly Hall-Tompkins and orchestra musicians while enjoying more live music, scrumptious hors d’oeuvres and a wine tasting with Aries Fine Wines & Spirits. Early reservations are a must! Only $30 with a Pops ticket purchase. December 17, 2016 at 3 pm — Winter Pops! She created the stage role of Mary Poppins in London’s West End, earning the Olivier Award for Best Actress. She reprised the role on Broadway, and at DC’s Ford’s Theater in a special performance for the Obamas, which also aired on ABC. 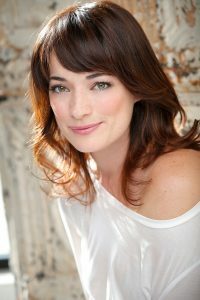 Laura Michelle Kelly went on to star in West End and Broadway productions of South Pacific, The King and I, and Finding Neverland. Plus a special appearance by our February soloist, Kelly Hall-Tompkins, performing her acclaimed solos from Fiddler on the Roof. Tickets: $36-$98. Winter Pops After-Party with the stars: $30. The performance will take place in The Concert Hall at The Performing Arts Center, Purchase College, 735 Anderson Hill Road, Purchase, New York. Single tickets range from $36-$98. Call the Performing Arts Center Box Office at (914) 251-6200 or visit artscenter.org for concert tickets. College student/group discounts are also available. Pops After-Party tickets are $30 and include appetizers and wine tasting. Call the Westchester Philharmonic at (914) 682-3707 or visit westchesterphil.org for party tickets. This entry was posted in Press Releases and tagged broadway, classical, orchestra, philharmonic, symphony, westchester. Bookmark the permalink.